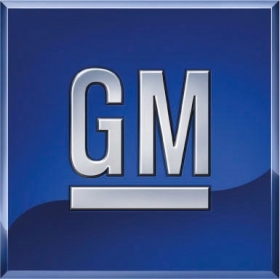 DETROIT -- General Motors will stop advertising on Facebook, citing the ineffectiveness of the paid ads, The Wall Street Journal reported today. A GM spokesman confirmed the newspaper's report, according to Reuters. The move comes days before Facebook's scheduled initial public offering on Friday that is expected to value the company near $100 billion. The automaker will still utilize free Facebook pages for marketing, as Joel Ewanick, GM's top marketer, said the company was "reassessing our advertising on Facebook, although the content is effective and important," the Journal reported, adding that "the content" referred to the free pages. GM spends about $40 million to maintain all aspects of its Facebook marketing -- including about $10 million on paid ads, the Journal reported. The automaker began to reconsider advertising on Facebook earlier this year, according to the Journal, and Ewanick and other members of GM's marketing team recently met with representatives from Facebook to discuss the company's concerns. But the meeting didn't sway GM from its decision to pull the ads. GM spent $2.8 billion in advertising in the United States and $3.9 billion globally in 2010, the most recent year for which data is available, according to , Advertising Age, an affiliate of Automotive News. The automaker spent the fourth most of any company on global advertising in 2010, trailing only Procter & Gamble Co., Unilever and L' Oréal.